Love Wins. Maybe You’ve Heard of It? Perhaps you’ve heard of this book. It has made no little stir on the Interwebs. 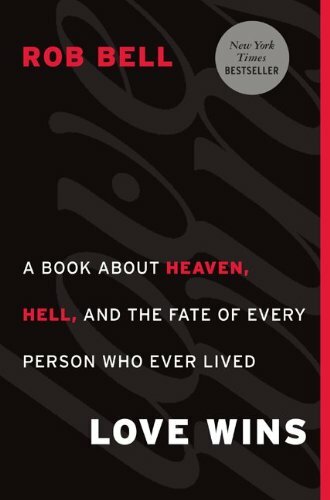 And it continues to make a stir, since I know of at least two books that are coming out in the next month that deal with the subject of hell, at least one of which deals explicitly with this book. 1. Bell still writes like he speaks. Line breaks aplenty. 2. Bell is an impressionist. He shares the impressions that he gets from the Bible and from the world, and his refusal to explain how he arrived at some of the assumptions behind his impressions were frustrating to me. I wished that he would go into more depth, but at the same time I know that if he had gone into more depth, this would have been a very different book. Apparently he didn’t want to write that kind of book. 3. Bell is a pastor. He understands that the image many people have of God is violent and destructive, and leads to awful results in their lives. So he presents a different image. In some ways I think this image is biblically faithful, and in some ways I think that it isn’t. But I do know this: any response to this book that does not attempt to respond to the same issues Bell brings up, but in a better way, will not succeed. It is not enough to say that Bell is not being biblical enough. It needs to be demonstrated both that Bell is not being biblical enough, AND that being more biblical addresses the problem of destructive ideas about God, or the fate of people who have never heard the gospel. That is the issue, and in my opinion too few critiques of the book understand this. Next Article Book Review: Was America Founded as a Christian Nation?